Amateur boxing wasn’t in good shape at the beginning of the twenty-first century. Controversial judging decisions, pervasive corruption, decrease of TV-audience, and other shortcomings were evident. Of course, some of them still persist. For example, today’s cumbersome gloves and headgear considerably reduce fighting capabilities of pugilists. Just two places in Olympic Games for super-heavyweight boxers from Asia are not enough for this populous continent. But within the last four years things noticeably changed. 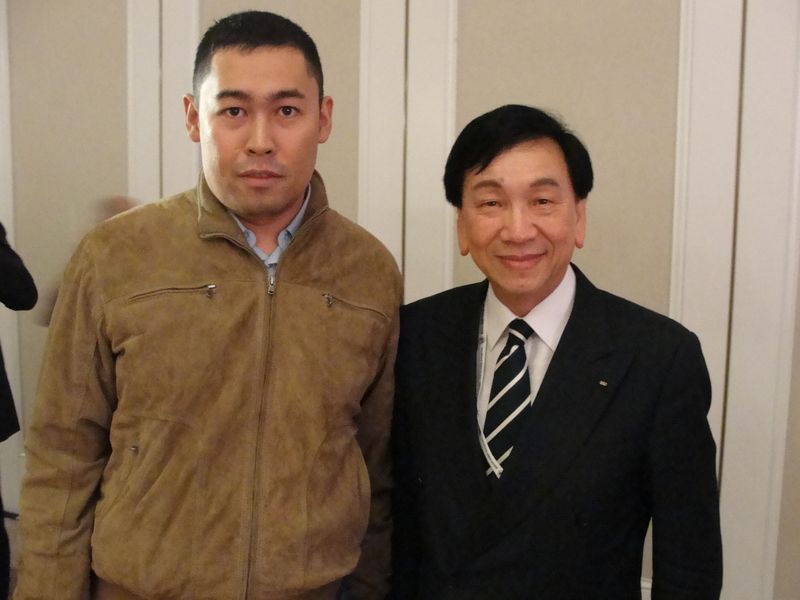 As a result, the current president of AIBA (International Boxing Association) Dr. Ching-kuo Wu (Taiwan) was re-elected at AIBA Congress, which was held in November 1-2, 2010 in Almaty, Kazakhstan. He has managed to put together tough attractiveness of prize-fighting and team spirit of amateur athletes, who compete in the name of their countries. The World Series of Boxing (WSB) is a promising brainchild of Dr. Wu and his colleagues. Under the aegis of this competition, selected boxers from the leading boxing nations can make money as professionals. At the same time, they retain an opportunity to participate in prestigious amateur tournaments like Olympic Games and World Championships. To an outsider, such reforms might seem a piece of cake. But in order to carry out fresh initiatives among nearly two hundred member-states of AIBA, one has to be both resolute and convincing. Dr. Wu with his associates have definitely succeeded in this enterprise. His expertise in sports management makes him a firm believer in the reforms. His polite manners make him a virtuoso of top-level negotiations. Not without reason the president of AIBA lays particular emphasys on cooperation with TV-broadcasters. To tell the truth, in the last decade or so millions of television viewers have switched from amateur boxing to professional one and mixed martial arts. This part of viewing public mostly is not bloodthirsty, its main demand is fairer judging and impressive show. Dr. Wu’s indisputable marketing skills would be quite useful in meeting such criteria. WSB is a positive step forward, away from prolonged tedious competitions with too many unimportant fights and time-consuming national anthems. The new term of the president provides with good possibilities for further reforms. For instance, if professional boxers outside of WSB are allowed to participate in amateur tournaments, it could greatly improve popularity of the contest. NBA players competing for the Olympic gold is an inspiring example of such fusion. Perhaps, it is time to cancel electronic scoring of bouts altogether. To my mind, old style paperwork is a better vehicle to assess overall performance of boxers. Judges should have more time to make their decisions, based on serious reflections, not hasty button-pushing. Maybe, the age limit for amateur boxers should be removed too. Such measure would be useful especially for heavyweight categories, where big men could fight till they are forty years old and even beyond. If Dr. Ching-kuo Wu continues his energetic activities, he decidedly will make history like legendary sports executives João Havelange, Florencio Campomanes, and Don King. Previous PostҚұрылыс емес, ұрылыс!Next PostМиллионеры, за парту!